wires, originally uploaded by primatepatio. 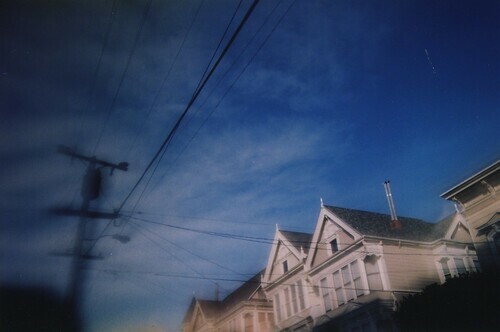 Lo-fi - taken using an expired disposable with clear nail polish on the lens. No post-processing - Walgreens prints, scanned in the Old Way.